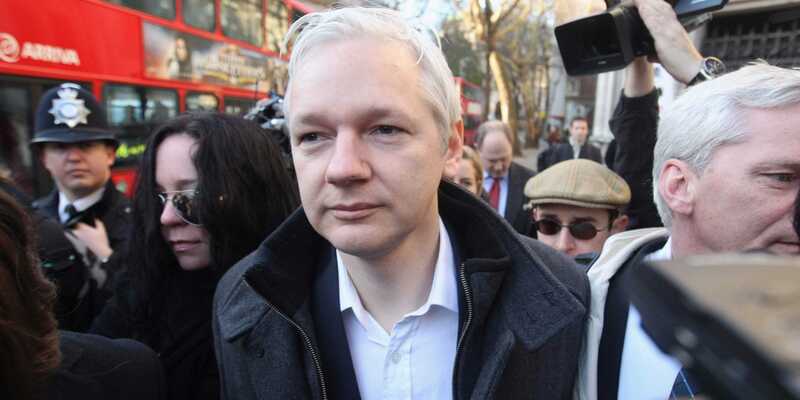 The US Department of Justice reportedly plans to indict WikiLeaks founder Julian Assange. The exact charges prosecutors would bring are unclear, but they are likely to include some related to the Espionage Act. Assange and WikiLeaks are at the center of the special counsel Robert Mueller’s investigation. Washington has been buzzing with speculation in recent days that Mueller will soon drop an indictment related to WikiLeaks’ activities during the 2016 election. The push comes as Assange’s relationship with Ecuador is in decline, and as the South American country is looking to bolster its relationship with the US. In an indictment charging 12 Russian intelligence officers for hacking into the Democratic National Committee and disseminating stolen emails, Mueller’s office mentioned WikiLeaks – though not by name – as the Russians’ conduit to release hacked documents via the hacker Guccifer 2.0, who is believed to be a front for Russian military intelligence. The Journal reported that prosecutors are weighing whether to publicly charge Assange, like they did with the Russian nationals who have so far been indicted as part of the Russia probe, to force the Ecuadorean embassy to turn him over to the US. The last indictment Mueller’s office issued was against the 12 Russian military intelligence officers in July. The special counsel’s office has been quiet over the last month or so, likely adhering to DOJ guidelines that bar prosecutors from taking any overt action that could influence the outcome of an election like the recent November midterms. But Washington is currently buzzing with anticipation that Mueller will drop something big soon, whether it’s in the form of an indictment or a report in his ongoing obstruction investigation against the president. In recent days, speculation has mounted that he will charge certain individuals in connection with WikiLeaks’ activities during the election, including the longtime GOP strategist Roger Stone and the far-right conspiracy theorist Jerome Corsi. Assange’s lawyer told The Journal they hadn’t heard anything about a potential DOJ case against the WikiLeaks founder.